The thermostat is very important in how you can control the comfort and temperature in your St Louis home. The thermostat not only controls the temperature of your home, but they can also control the humidification, dehumidification, and ventilation in the home. There are so many options in thermostats now, that the choice of thermostat, may determine the type of HVAC equipment you choose. To learn more about our thermostats, call Hoffmann Brothers at (314) 664-3011. 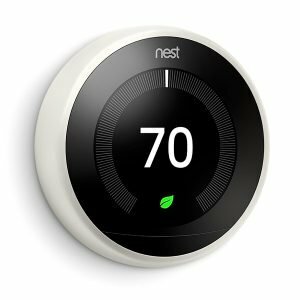 Brand: Hoffmann Brothers can install any type of Thermostat you choose including Honeywell thermostats, Nest Thermostats, White Rodgers Thermostat, American Standard Thermostats, Ecobee Thermostats, and Emerson Thermostats. Programmable vs. Non Programmable: Thermostats can be programmed to automatically set to certain temperatures at certain times or you can get a non-programmable thermostat that you can control manually. Wired vs. Wireless:Thermostats can be wired or wireless. 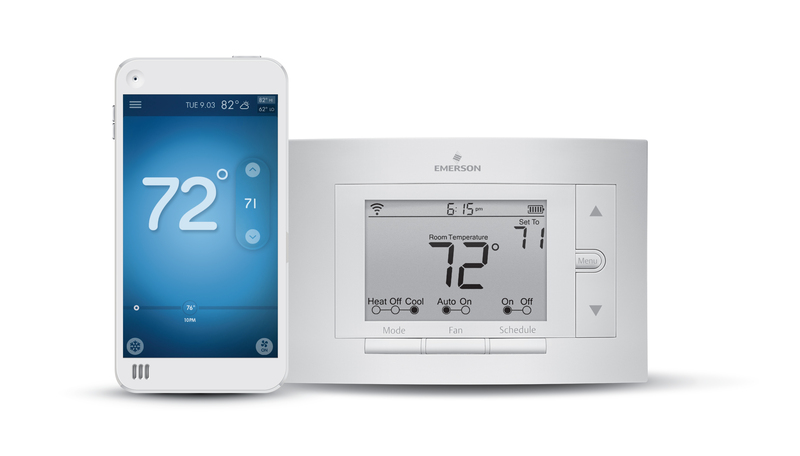 The wireless interfaces can allow you to sync your thermostat with your smart phone or tablet. These thermostats can allow for you to control your thermostat in your St Louis home from anywhere. Features: Thermostats no longer just come in just white and beige. You can get a thermostat in silver, black, and gold now. Thermostats also come in so many sizes, so you can choose the size that best fits where you want it installed. Some thermostats now have a features where you can have scrolling pictures as well. Manual thermostats work by you manually moving a needle up or down to how hot or cold you want your home. They are good for people who prefer a fixed temperature, but they are limited on energy efficiency. Programmable thermostats allow you to set a specific schedule with settings for every day of the week. Depending on the model, you can program your thermostat for 7-day, 5-1-1 day, 5-2 day or 1-week. These types of thermostats can help you save on energy costs. It efficiently adjusts temperature throughout the day for optimal heating or cooling. Smart thermostats have wi-fi and can be controlled from your cell phone, tablet or computer. Because you can control these thermostats from anywhere, they can improve energy efficiency. The next thing you need to know to choose the best thermostat for your home is whether your system is fitted with 1 Stage or 2 Stage air conditioning. Single Stage: Your air conditioning unit works at full capacity when it’s on and completely turns off when your home reaches the temperature set on your thermostat. Stage 2: Your system heats and cools on both low and high speeds. These are more energy efficient and remove humidity better than a single stage unit. Your new thermostat will indicate that it works with one of the following types of HVAC systems: 1 Stage Heat or Cool, 2 Stage or Multi-Stage Heat or Cool, Direct Line Voltage, 24mV, or Zoned HVAC. (314) 664-3011 or contact us through our online form.